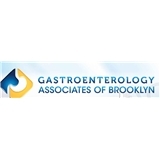 Gastroenterology Associates of Brooklyn (Brooklyn) - Book Appointment Online! Dr Wall is the best! Wait time is very long at Quentin road office, Avenue S runs closer to appointment time.